She has previously been Deputy Director of the Kroto Research Institute (from 2005 to 2009) and Director of the University Centre for Biomaterials and Tissue Engineering from 2002 to 2009, She was Director of the Interdisciplinary Programmes Office for the Faculty of Engineering (from February 2010 – 2014) and Director of the Faculty degree of Bioengineering (launched September 2010 – 2014). 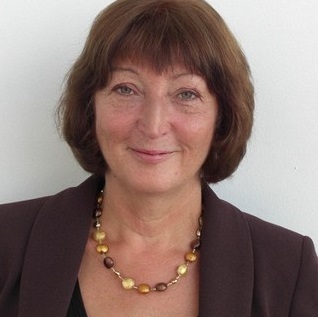 She was also a founding Director of the University of Sheffield spin-out company, CellTran Limited from 2000 to 2007. She was the Sheffield lead for an EPSRC Doctoral Training Centre in Tissue Engineering and Regenerative Medicine (a DTC held between three Universities, Leeds, Sheffield and York) from 2008 to 2011. Strangely enough I’m actually a biologist within an engineering department and I spent most of my working life within the medical school. I’ve always been interested in the sorts of clinical problems where you actually need to do things and bring things together. I started working with chemists and engineers and I started working with engineers more and more and eventually I moved into the engineering faculty. I’m a biologist working within and engineering faculty and what I call myself very much depends on where I’m going for the funding. The reason I ended up in the engineering faculty is because I’ve always been attracted to human health problems, problem solving and engineers are problem solving animals. The process begins by identifying what the problem is and then you put the team together to tackle it. My own interest for the last twenty years has been tissue engineering and you need to bring together biology and some engineering principles. You can put a team together in an engineering faculty fairly easily and one or two biologists can catalyse the rest to tackle the problem. I guess when I think where I’ve ended up I really owe a big debt of thanks to by biology teacher at school, Jonny McCardle. He was a lovely guy, we had the Nuffield Syllabus for the first time at A Level and it was all about experimenting and finding out for yourself and making mistakes, and he took to it like a duck to water and so did I. A lot of the class didn’t like it, but I loved it. It was ‘let’s try it and see what happens’ that becomes infectious, so I have a lot to owe to him. The things I’m really excited about in my job are tackling projects where you think you can make a difference clinically. I’ve got two projects; one where I’m working with colleagues in India to develop a better way of treating corneal blindness, we’ve been working with them for three and a half years, we’ve developed a membrane to deliver cells to the eye and we hope to take that into the clinic this year, and that’s very exciting. I love the people I’m working with in India, they’ve already got a pretty good solution to what they’re doing, we think we can make it better, it’s a real synergy. The other project isn’t yet ion the clinic but its developing better solutions to treating women who have pelvic floor disorders, otherwise known as stress urinary incontinence and pelvic organ prolapse. The sad fact here is that as many as one in five women will need surgery for these conditions. It’s an interesting problem; it’s exactly the sort of problem I’m drawn to, not just because I’m a woman but because we live longer we expect to be healthy for longer and yet if you’ve managed to give birth to several children etc isn’t as it used to be. So the phrase a well-sprung pelvic floor comes to mind, which is what women of my age and older would like but we don’t always have. So currently materials are used in the treatment of the pelvic floor. But, the bottom line is, they’re not that good. So we’re trying to develop better materials that are more compatible with the patients natural materials so they will cause fewer side effects and last the patient’s life time. The problems of the pelvic floor are of interest, they won’t be of interest to younger women its only when you’re passed you’re menopause and you’ve had several children that you discover you’ve joined a whole bunch of for whom running for a bus is no longer q question of fitness. So stress urinary incontinence, pelvic organ prolapse, these are very, very unfashionable, hideously common problems. What attracts me as a scientist is that the current surgical solutions are really not that good. And that’s not me being critical of the surgeons, the surgeons I’m working with are the first to put their hands up and say they want something better to do this job. The material that they’re currently using to repair the pelvic floor is a material that’s used for hernia repair. Now if you put that same bit of material into your abdomen, it’s pretty good. You put that into your pelvic floor, not so good and it tends to fail with spectacularly bad results. That’s exactly the clinical sort of problem I’m drawn to, because its common, its real and it effects a lot of people and we can do better. So we’re trying to develop the next generation of materials that will be a lot more appropriate for using in the pelvic floor that the current materials. When I consider my life in engineering I think I’m particularly proud of two things, one; the research group we’ve built here. It’s not just my efforts I have six other colleagues and they’re all working on real problems, like nerve repair, like bone repair and they’re all making very good progress. The other thing I’m very proud of is, nearly four years ago we set up a bioengineering undergraduate degree and all of my colleagues contribute to that and I think we’re offering the degree that really addresses not just todays problems but the problems of the next generation. It’s a very attractive degree, it’s where engineering meets human health problems. I’ve not delivered that on my own, it’s been a team effort. Being a woman in engineering is actually great. Because engineers are well used to the concept that they need to put teams together to make things work well, and women are good at building teams. 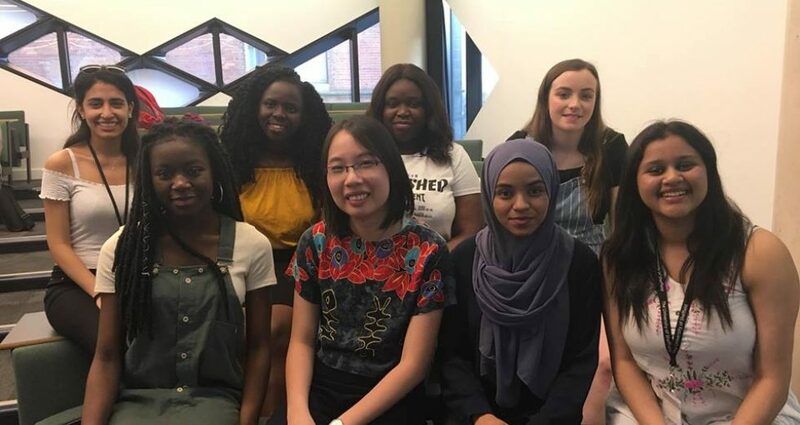 We don’t mind saying ‘I don’t know how to do this, I bet you do, would you like to get involved in this project?’ You’ll often find women in engineering in tissue engineering and they’re not just doing their one specialist thing, they’re working with a team of people and being a really cohesive force for that team. And all you really need is a will to do it and a good clinical problem and you can assemble a team around that, assuming you can get the funding of course. I think over the course of my career, there is a better realisation of what women can contribute to engineering. There’s a lot of misconception about what an engineer is. Women are very easily attracted to biology, they’re not so attracted to engineering. But when you say bioengineering and when you say here is when engineering take on human health problems then women think, ‘oh yes, I can do that’. Engineers are problem solvers, whether they’re male or female engineers and its very, very easy to work with engineers, male or female. I think if I were talking to my younger self I’d say take on big problems, and the big problems mean that you work across disciplines. So it’s no longer just enough to be a specialist in one area to take on the big problems in human health. You need to be able to work in teams and a part of that, engineering can make an amazing contribution to the things you need to know. If women have lots of role models and examples of women who are achieving things and making a difference and preferably women who aren’t that much older than them. If they can see people in their mid-twenties and early thirties having exciting careers, that is what would have fired up me at an early age.